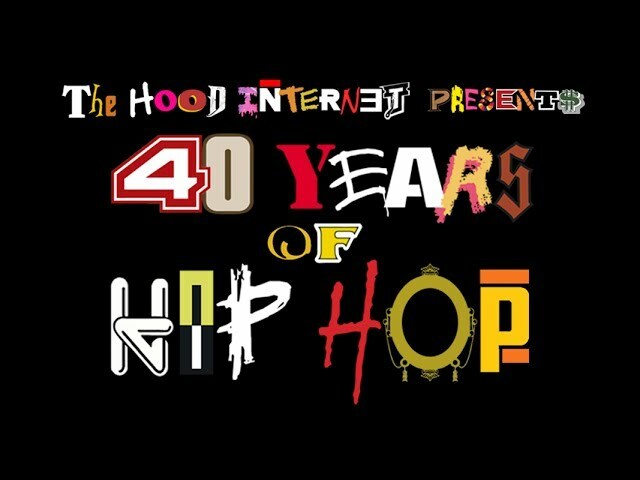 THE HOOD INTERNET presents 40 YEARS OF HIP HOP. This mashup contains 150 songs from more than 100 artists representing 40 years of hip hop all crammed into 4 minutes. It’s not a chronological history of hip hop, but rappers from different eras finishing each other’s rhymes over intersecting beats, all woven together to make one song.